They say we know more about outer space than we do our own oceans. There is an air of mysticism surrounding the cerulean depths; even though they span seventy percent of our planet. It is for this reason the ocean has become a symbol of mystery, majesty, and romance. 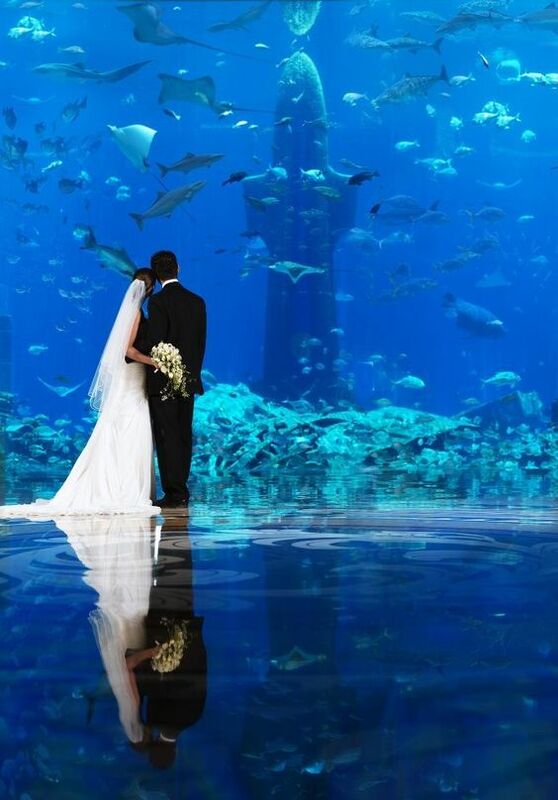 Previously I wrote about the growing trend of celestial themed weddings; however, this time around I will be focusing on yet another trend; underwater weddings. Now, the wedding is not actually underwater mind you, but the decor ties into the sea and uses an aquatic colour scheme. 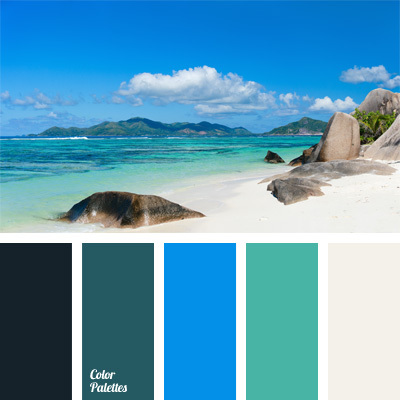 When it comes to coordinating colour for a wedding based around the sea, there is an immeasurable amount of hues and shades that you can incorporate. 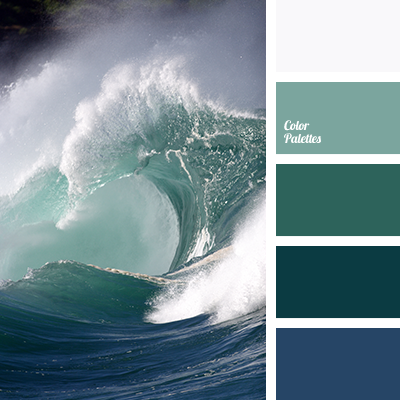 Blues, greens, and crisp white to beige palettes can help bring the feel of the ocean to you. 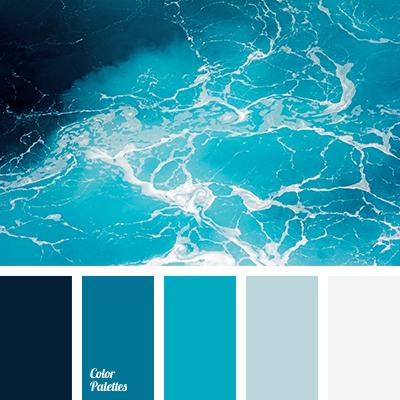 Darker colours contrasted by sharp whites channel the striking nature of a crashing waves, while lighter teals and rich blues give a sense of calm lagoons, or tranquil waters. While a traditional white gown would work for an undersea wedding, those emboldened with a desire for uniqueness may find sequined mermaid style dresses are a sure fire way to turn heads. Not only is the fit of the dress flattering, but as the name suggests, it is the perfect style of this type of wedding. Additionally, the sequins dazzle and reflect in a way that is reminiscent of the sea itself. 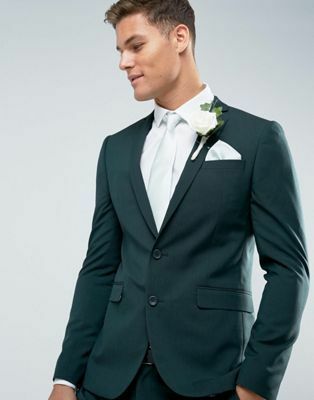 The groom can take advantage of suits in darker navy shades. However, classic black, or even blue, is applicable as well. 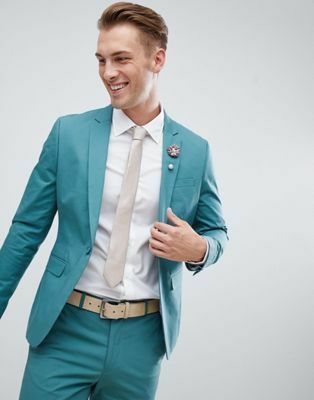 If he is feeling particularly bold, teal suits are a fantastic option that will enable him to stand out even more! 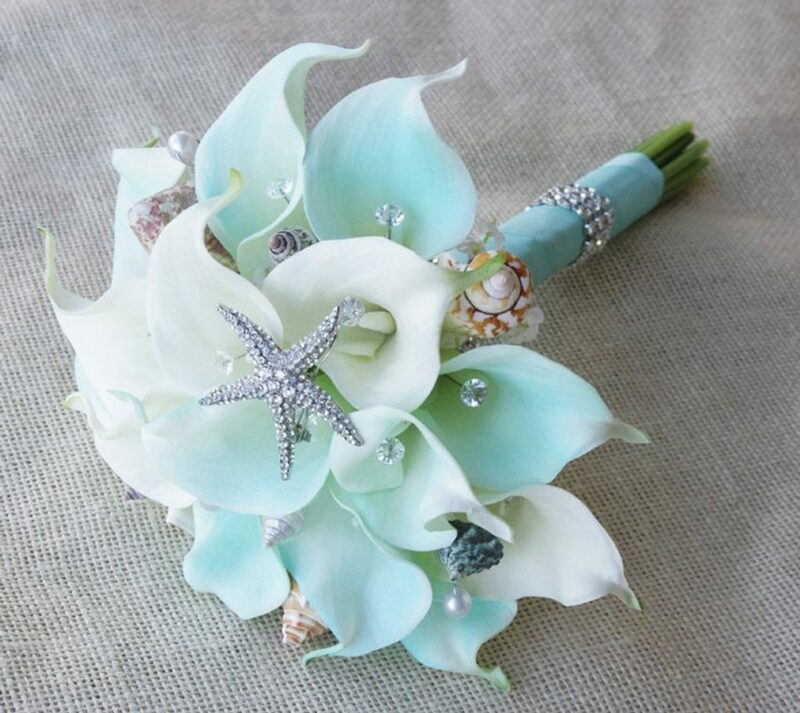 When it comes to what type of bouquet you’ll carry down the aisle, I have found that calla lilies work well with an ocean theme. Silk turquoise lilies mixed with the natural white play off a sea foam palette, and can be both sophisticated and unique. 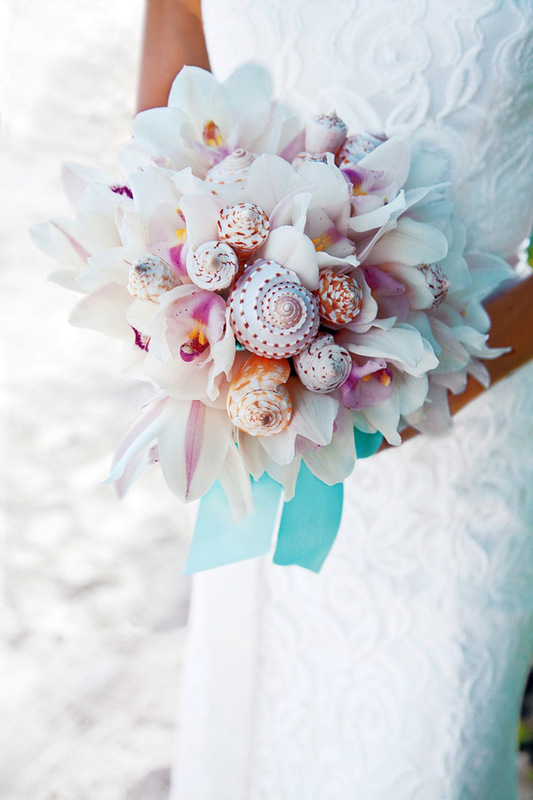 Additionally, adding seashells to the bouquet can create a one of a kind distinct look. The flowers can also be used to create unmistakable center pieces at your reception hall. They can also be woven into an arbor, if you’re planning on having one at your wedding ceremony. The silk turquoise calla lilies have the added bonus of being resistant to damage and wilting, while also looking remarkably realistic. This makes them perfect for beach weddings, where things like wind, direct sunlight, or salt spray can cause degradation. While flowers can play a large part in wedding decor, there are many design options available for an under sea theme. Consider a time setting, punctuated by blue lights. This can give guests a feeling of being comfortably below the waves. 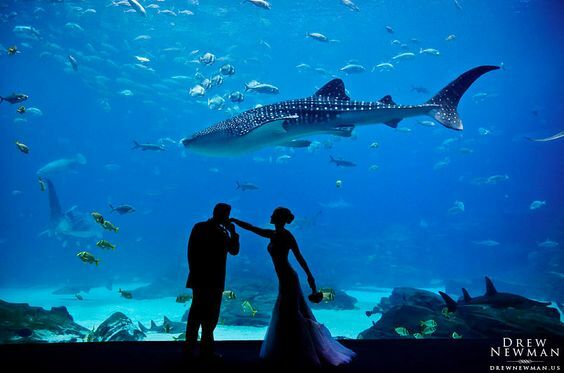 For a truly aquatic adventure look into local aquariums, or aquariums in the area you’re planning on tying the knot. Many of these locations will ofter wedding packages that allow you to take your wedding to the next level. 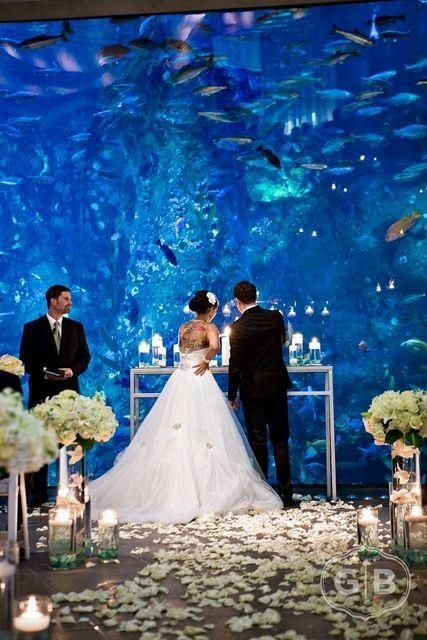 Aquariums not only offer a unique place to say “I do”, but the opportunity for breathtaking and unforgettable memories. They are a great alternative if a beach wedding isn’t for you, or if you’re wedding is taking place during colder months. For example, the Shedd aquarium in Chicago offers couples a way to capture that undersea feeling, even when temps in the city are well below zero. Locations across the U.S. and abroad exist to cater to this theme. 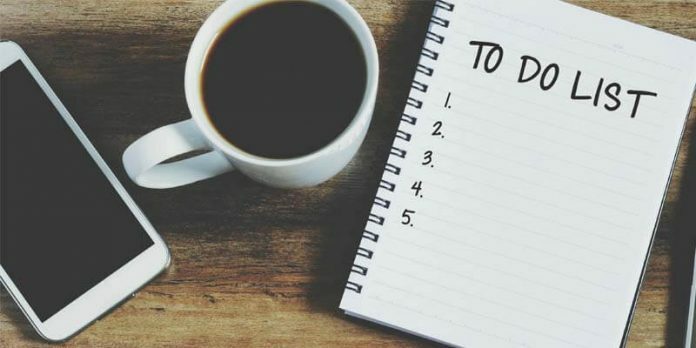 Though the trend is catching on, booking an aquarium venue shouldn’t be too much of a headache as many couples over look it as a possibility. This means you won’t have to worry too much about beating other couples to the punch. 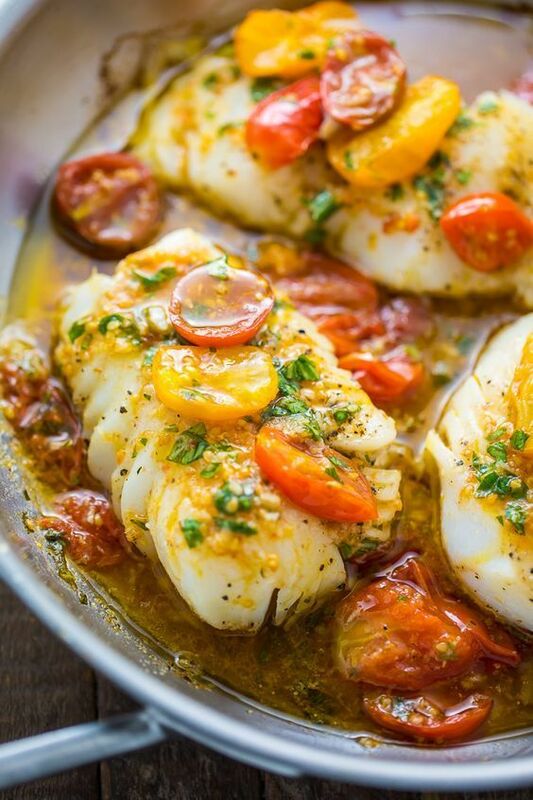 Sticking to the theme of the wedding, seafood is an obvious choice when it comes to cuisine. 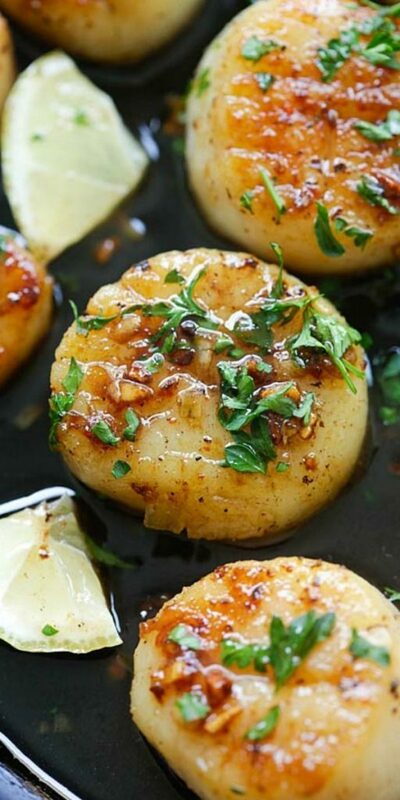 Shrimp, scallops, crab, fish, and lobster, can be used in countless dishes, with thousands of flavor combinations. Of course you can always serve beef, chicken, or pork if you prefer. A surf and turf buffet style is always an option as well, especially since not all guests may enjoy seafood. 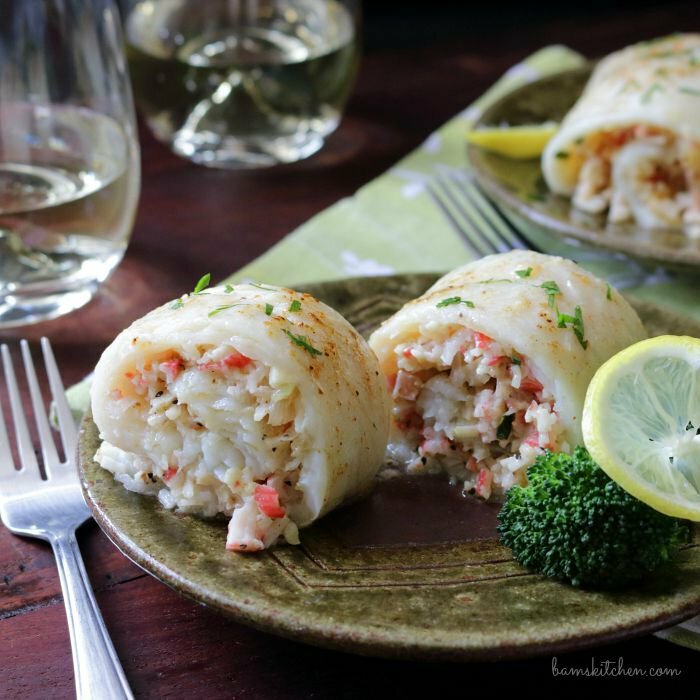 There are so many combinations and styles of seafood, you are sure to find something you’ll love. Whether you love the sea, or you’re just looking for a unique wedding theme, you have a lot of creative freedom. Playing around with the colors, and decor options allows you to create an unforgettable atmosphere. 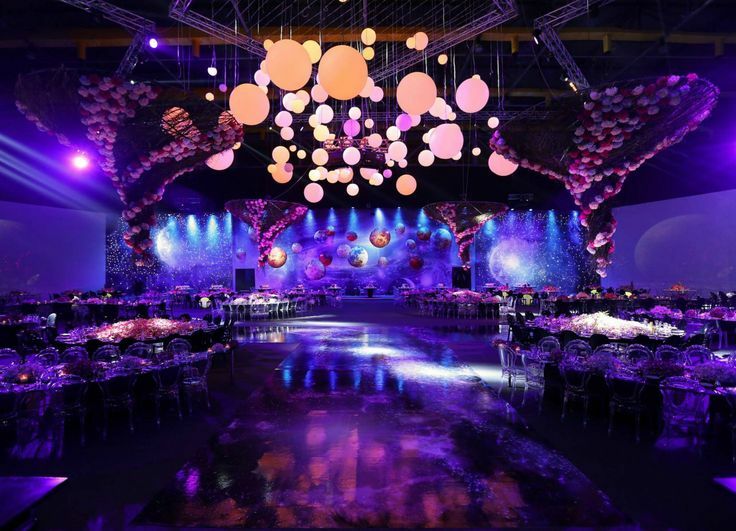 This wedding theme is guaranteed to stand out from the crowd, and take your breath away. With all the options and combinations of an underwater theme, the possibilities are truly as vast as the seven seas. Let us know what you think, and if you would consider this theme for your wedding!